Shortlisted for the Booker Prize, Sybille Bedford's latest novel walks the borderline between autobiography and fiction. It picks up where A Legacy leaves off, leading us from the Kaiser's Germany into the wider Europe of the 1920s and the limbo between world wars. The narrator, Billi, tells the story of her apprenticeship to life, and of her many teachers: her father, a pleasure-loving German baron; her brilliant, beautiful, erratic English mother; and later, on the Mediterranean coast of France, the Huxleys, Aldous and Maria. 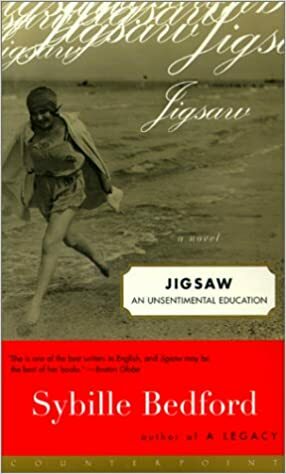 Jigsaw, wrote the Sunday Times, is the most unusual, most resonant of all Sybille Bedford's unusual and resonant books.